This week has seen me multi task on nine different design projects. Jumping from logo design to web design, updating client web sites and sales calls. On this beautiful St Louis morning I took a little time to visit my garden ahead of all the hustle and bustle of the day- it is my antidote to the digital world. I would rather be pottering around among my flowers than twittering any day! 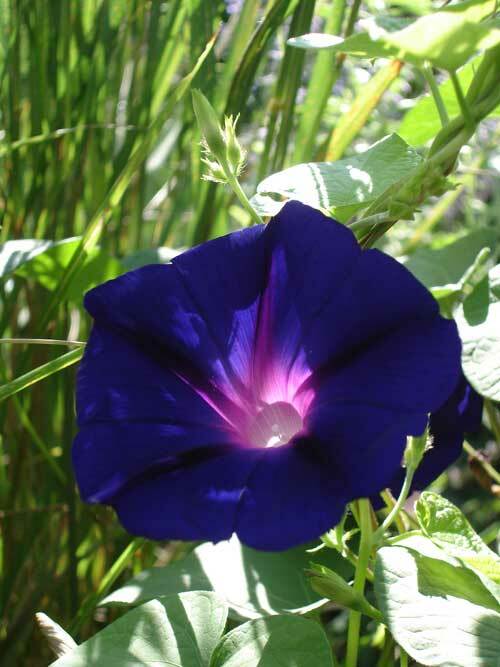 This is a self seeded Morning Glory enjoying the morning sunshine. By this afternoon it will be gone but I will be treated to another spectacular display tomorrow.